Inspired by a poster I recently created for the Irish Wolfhound Specialty, I decided to try my hand at designing another drawing of this sighthound breed. 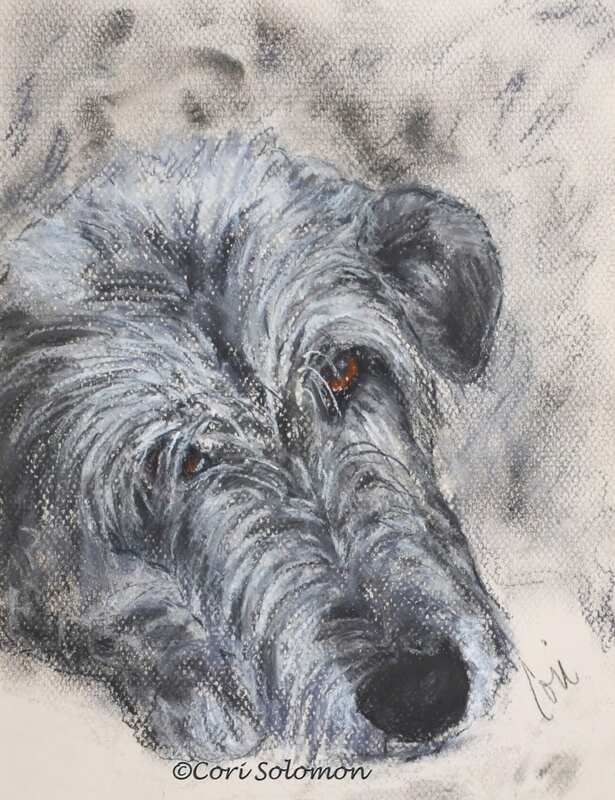 This Pastel shoulds the soulfulness that is present in the Irish Wolfhound. 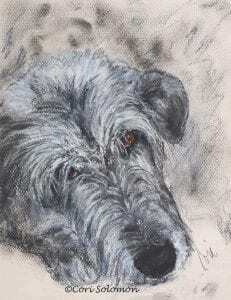 To purchase this Irish Wolfhound drawing email Cori.